At some point in time, Acornsoft decided not to publish adventure games any more. Some of the authors then took their games with them to Topologika. Type: Text only Written 1982 by Peter Killworth. Comments: Small science fiction adventure. Your spaceship has crashed on the planet Doomawangara. You must acquire the parts needed to repair your ship before the planet's hostile atmosphere corrodes it away. You set off from Earth in your one-man ship, and are soon orbiting Doom. You make one more pass over the enticing planet, wondering if *you* have the courage. The decision is made for you when your ship comes under a sudden and violent attack that sends it tumbling out of control until it hits the surface with a force that could have killed you. Written 1982 by Peter Killworth. Notes: This game had the most evil and unfair first puzzle of all time. 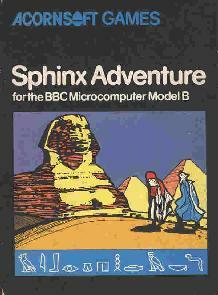 The Acornsoft version of this, Killworth's first text adventure, sold 25.000 copies. Notes: Some of the puzzles in Castle of Riddles came from the original version of Philosopher's Quest and now appear in the Topologika version of Philosophers' Quest. It had an incredibly unfair maze. Type: Text only Written 1983 by D. L. Haslam. Notes: Only available in a compilation with Caves and Roman. Notes: Only available in a compilation with Mini and Roman. Notes: Only available in a compilation with Mini and Caves.